Packing tips for your move to Australia! We’re sure that you’re aware that there are some tough rules and regulations regarding what you can and can’t bring in to Australia! But before we jump into the technical side of things, let’s get to the basics! Always remember to check the baggage limit of the airline you’re travelling with online, prior to your departure. 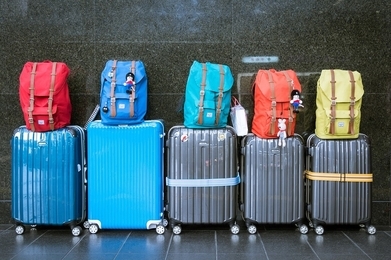 If your luggage exceeds the baggage limit then it is possible that you’ll be charged extra for the additional weight. If you know that you may exceed the allowance, a great tip is to pay for the additional baggage online; this is because it’s simply cheaper to pay online. However, do remember that you’re going to be carrying this stuff across Australia with you. It may be a better idea to pack lightly to ensure you’re able to carry it upon your arrival in Oz! Some airlines allow a small bag as hand luggage that stays with you when you board your flight. Some airlines will only allow one piece of hand luggage where some will count the hand luggage as additional weight, therefore, it’s a good idea to check with your specific airline for any restrictions. Australian airports security screen all hand luggage so it’s best to keep your essentials such as gels and liquids with you. A great tip for you is to keep your cash, traveller’s cheques and cards separate. If an incident occurs or you lose an item, you will still have some money with you for emergencies. If you’re ever in doubt about any belongings you’re taking with you to Australia, declare them. Here’s some tips to make sure everything fits in your suitcase! Roll your clothes rather than folding them. They take up less room when they’re folded and get less wrinkled, especially if you roll two or three items together. Shield electrical items by wrapping them in your clothes. Always wrap shoes and your toilet bag in plastic bags. It keeps your clothes unsoiled and if anything does escape, it leaks all over the bag, not your clothes. Netted bags are useful for items like underwear (and are also great when washing). Freezer bags, zip-lock bags or a pillow case are all decent ways to keep dirty items isolated. It’s worth noting that whilst packing up your household goods, they may need to clean and completely free of any unwelcome dust, grass or soil. PSS International Removals will be able to advise you on the necessity to plan with certain possessions. fresh fruit and vegetables live plants and bulbs prohibited and restricted seeds anonymous seeds (including spices) live animals (including pets) that require an import permit biological products including some plant based, herbal medications unprocessed goods of plant or animal origin soiled goods, or goods containing organic residues goods knowingly infested with pests or a disease.More information can be found on the agriculture.gov.au website. If you are considering a move to Australia PSS International Removals can help with shipping your goods and excess baggage. We are proud partners with PSS International Removals and they have an office here at our centre in Ealing! Contact PSS Removals now for a free estimator’s survey!